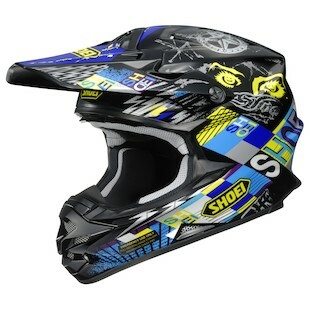 A longtime market leader, the Shoei VFX-W gets a facelift this fall with three new graphics now being offered. Already known for excellent ventilation, extreme lightness and benchmark protection, these new designs will set you apart even further from the competition. Painted with something that looks like it could easily be found on "Pimp My Ride," the Shoei VFX K-Dub 3 Helmet will resonate well in the Urban Jungle of 25-inch rims and hydraulic low-riders. Available in three gangsta colors, white/red, white/blue, and black/white/green, the K-Dub will certainly stand out in a crowd. Packing a DC Shoes flavored punch, the Shoei VFX-W Krack Helmet doubles up on the Shoei brand name with a collage of letters, icons, and graphics that will keep you guessing. The color choices don't back down with a bright white/blue/black, black/red/blue, and black/yellow/blue to seal the deal. While only slightly tamer than the previous two, the Shoei VFX-W Werx Helmet comes in five stunning colors. Falling slightly more towards the "stripes" category, the Werx graphic comes with a two-tone scheme in black/silver, white/red, black/orange, white/blue, and black/green. 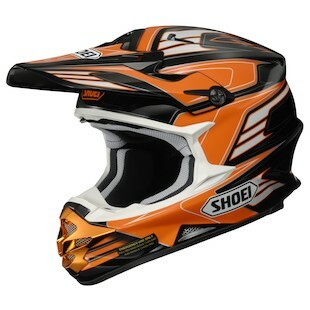 As if these weren't absurd enough, see the rest of the New Shoei Graphics at RevZilla.com. 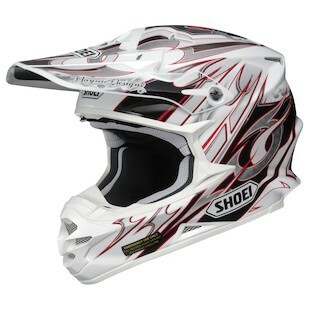 For more knowledge, find out the differences between Shoei & Arai.